On 21 October, Jammu and Kashmir Chief Minister Mehbooba Mufti urged the police to try to bring back and reform the youth who have fled their homes and gone astray to join militancy, instead of killing them in encounters. In remarks which come in the wake of a prolonged unrest in the Valley triggered by gunning down of local Hizbul militant Burhan Wani, she said, "Those who have taken up arms or those who have not but are missing from their homes and want to join militancy, they are local boys. "I request the police to try to bring them back to their homes. Instead of their being killed in encounters, if it is possible to bring them back, make them a part of the mainstream, give them bats, balls and good education, instead of guns." 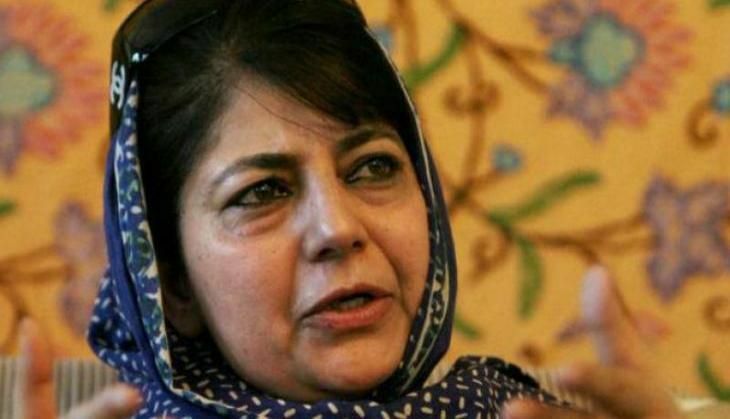 Mehbooba, who was speaking at the Police Commemoration Day function at Armed Police Complex in Zewan on the outskirts of the summer capital here, said that such youths needed hand-holding. She stressed that ending militancy and restoring peace were a prerequisite for repealing the Armed Forces Special Powers Act (AFSPA) and for seeking start of dialogue process in the state. "We cannot force anyone to have dialogue on gun-point, stones or by lathis," she said adding that only when there is a "conducive" atmosphere she can go to Delhi with her "head held high". Urging local youths to give up violence, she said that "black laws" like AFSPA would be repealed from the state when the situation improves. "When the situation improves here, we will end the black laws. For that, we have to create an atmosphere first. I know that today the situation is not such, but tomorrow, a year after... we have to repeal AFSPA as we cannot keep it in force forever. "How can I do it today? There is infiltration, there are encounters. We have to end militancy and create peace in Jammu and Kashmir so that we can repeal AFSPA from some areas here," she said. The Chief Minister said the police should deal with militants but civilians should not be troubled.